Although fungi are known for its ability to break down decaying plant matter, they are now being tested as a potential eliminator of bunker oil waste. 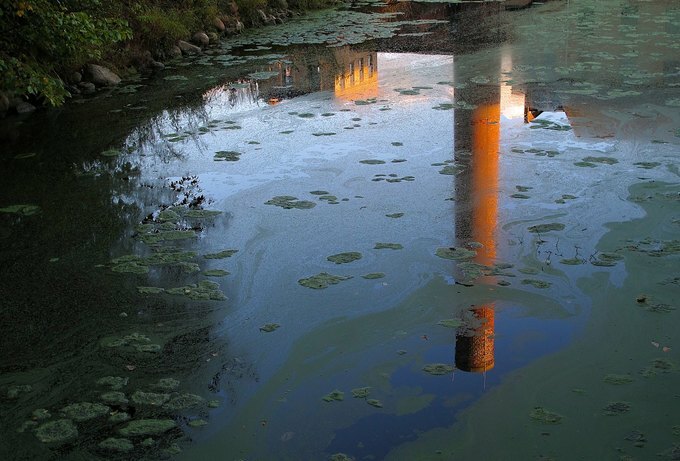 The specific test site for the experiment was the Blackstone Canal in Massachusetts, which was filled with viscous Bunker C oil after a fire at the Fisherville Mill in 1999. Six species of white rot fungi, Trichaptum biforme, Irpex lacteus, Phlebia radiata, Trametes versicolor, Pleurotus ostreatus, and Punctularia strigosozonata was observed growing at the site. Scientists attempted to grow the strains on white pine sawdust which they believed could be used for mycofiltration. The cultures were combined with Bunker C oil and were left incubating for six months. During the incubation period, five of the strains appeared to have significantly broken down the 10-carbon and 14-carbon alkane chains, while the sixth strain, Punctularia strigosozonata, depleted the C10 alkane by up to 99%. These results are a promising indicator of the capabilities of fungi in the degradation of environmentally harmful materials. White rot fungi use cellulose enzymes for wood decay, but also use nitrogen efficiently. Wood that is consumed by white rot fungus takes on a slightly lighter color with thin striations. White rot fungi are the only wood decay species known to break down lignin, which is present in various chemical compounds such as synthetic dyes.